Offensive and unwanted odors can wreak havoc on quality of life, whether at home or in the workplace. 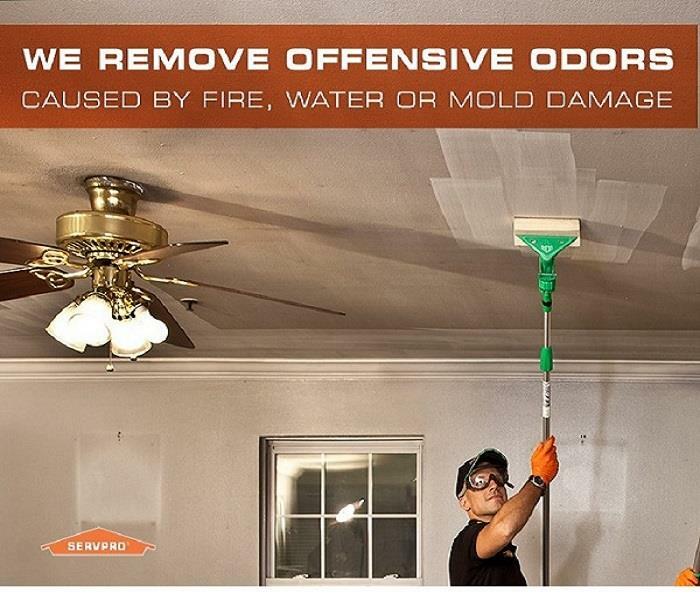 SERVPRO of East Brown County knows how frustrating getting rid of some odors can be and our team also knows the secret is NOT to try to cover up those smells with perfumes and sprays. We understand the science behind effectively eradicating those odors. Our technicians will go into your Green Bay area home or business and do just that. If there is something, like mold, that is obviously creating the bad smell, the techs will find that scent source, remove it and clean it up. The techs will then use specialized equipment, like ozone machines and hot thermal foggers to get rid of the lingering odor itself. These machines create tiny particles that attach themselves to the odor particles and break the smelly particles down at the molecular level. So, if your Northeast Wisconsin home or business is experiencing some bad smells, put away the air freshener and give us a call for truly scientific odor removal!